Mr. Chairman, members of the JBC, thank you so much for this opportunity to testify about the state’s budget priorities. 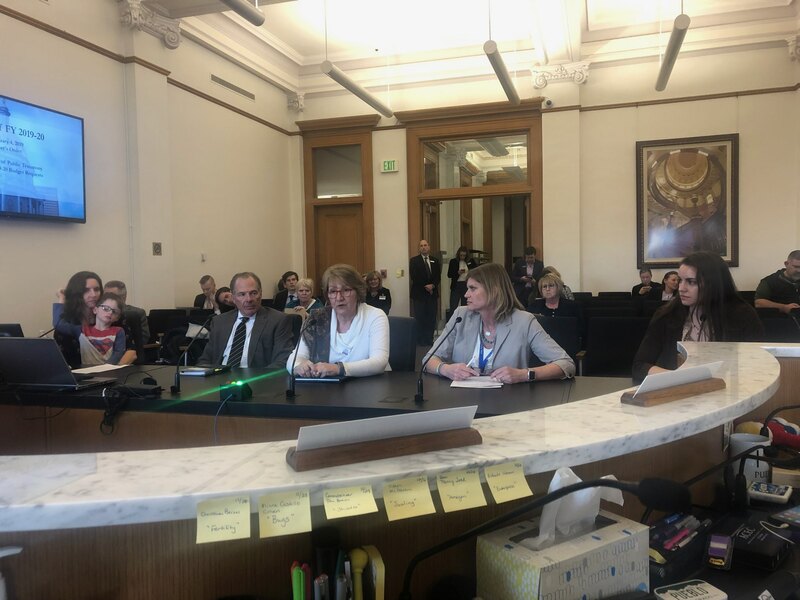 My name is Jonna Levine, and I am Co-Chair/Co-Founder of Support Jeffco Kids, which is a member of the Great Schools, Thriving Communities Coalition. This is the diverse and inclusive coalition that created and put Amendment 73 on the ballot in 2018, garnering over 100,000 volunteer signatures and over 1.1 million votes at the ballot box. I have a handout that conveys what organizations are a part of the coalition and the principles that we hope you will take into account as you consider legislation this year, including the Long Bill. I’d like to share with you relevant policy statements on which the coalition has come to agreement. We will measure future bills and policies against whether or not they provide additional funding towards an adequate, equitable, and sustainable funding solution. We hope you will do the same. Second, for P12 education, this coalition will support ALL proposals and/or legislation that increase P12 education funding, as long as they generate additional allocations — and the funds do not take away from an existing program serving other students. We are eager to and will work with legislators to craft solutions with respect to this. Our coalition recognizes the difficulty of the task this Committee faces and we appreciate your service. We also recognize — many of us LIVE — the urgency of doing right by our students and communities as soon as possible. That’s why we stand ready to work with you for long-term meaningful solutions that will make it possible for all Colorado’s students to thrive. Thank you for your attention and for doing all you can to create a budget that reflects the importance of investing in the future.